KleenGuard Personal Protective Equipment (PPE) enables rather than inhibits – allowing for maximum productivity and safety for you and your employees. Kleenguard A10 Light Duty Coveralls are a terrific choice when you need to provide economical, disposable protection for workers who are exposed to dirt and grime in the workplace. They are protective wear designed for entry-level protection from hazardous dust and feature a zipper front, attached hood, serged seams and elastic wrists. 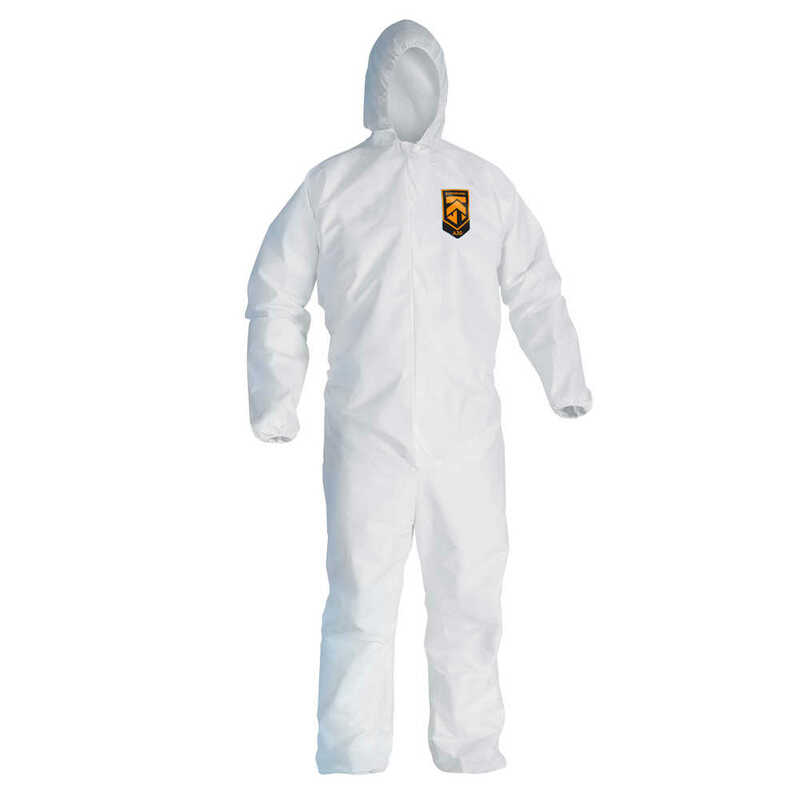 The fabric is made of five layers of stacked barrier protection, for a lightweight, breathable protective coverall. 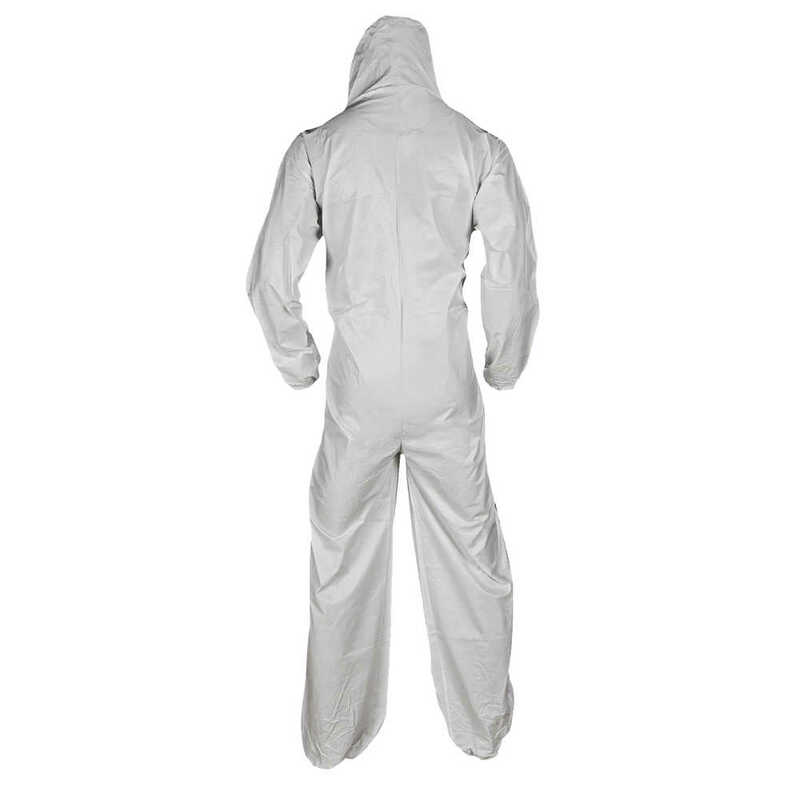 These white, disposable coveralls are a popular choice for food processing, general maintenance and manufacturing. Making the right Personal Protection choice is difficult. Perform with distinction with KleenGuard Personal Protective Equipment (PPE).